Bria finished her championship on a Group 4th win at 10 1/2 months. 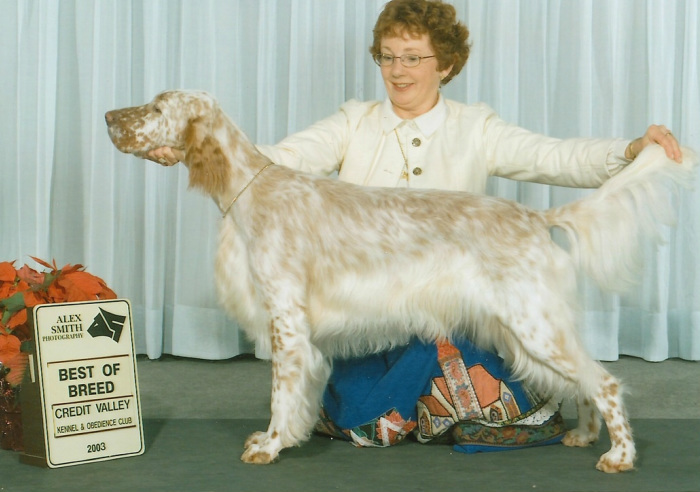 She won a Best Puppy in Show along the way. Bria was very birdy like her sire and grand dam. Sadly she did not clear OFA hips. Bria acted as the Setter Dinner Bell in our household and was quite the ' Butterfly Babe".